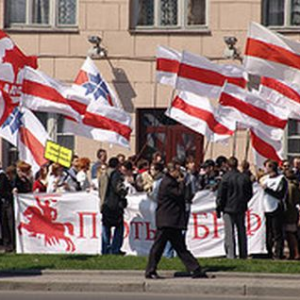 BelarusDigest > Myths > How effective is the democratic opposition in Belarus? How effective is the democratic opposition in Belarus? Most of the democratic opposition consists of hermetic and fully-controlled top-down structures. They find it difficult to reach out to ordinary citizens or build broader networks. The political opposition has often been marginalized in the country – it is isolated not only from the political structures controlled by Lukashenka, but also from most of the population which is very risk-averse and does not want to take active part in “regime change”. It would be a shame to blame them, though: restrictive legal conditions, operating under constant surveillance of secret services and competing for resources from non-transparent donors has left its mark on local non-state actors. In 2010, the democratically oriented presidential candidates all played on a certain set of anti-regime rhetoric, demonstrating courage and determination. But they did not believe or present a vision that incorporated the possibility of their victory. Still, given their very limited access to state electronic media and the development of independent media voters, for the first time, they had considerable exposure to advocate for the alternatives to Lukashenka. There is a base to use and build a capable pro-reform constituency.